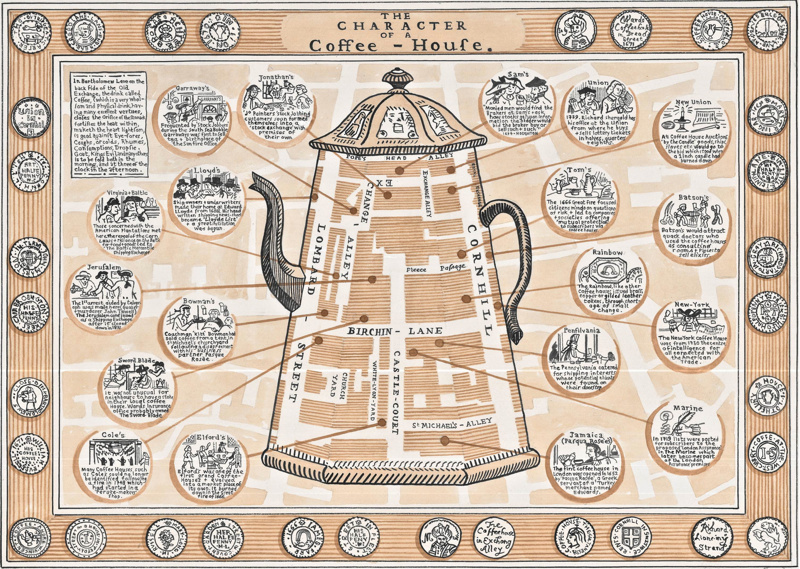 This attractive hand-drawn map, by Adam Dant, is of the coffee houses of the City of London in the 1700s. 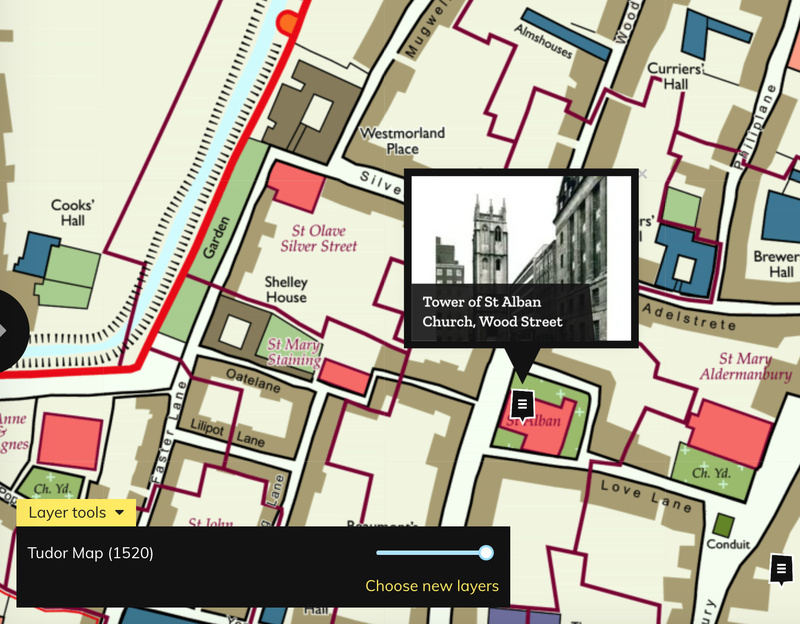 Adam uses the gradual separation of the two main roads heading east from Bank, namely Lombard Street and Cornhill, to create a map of the area in between them that is, itself, shaped like a coffee pot. 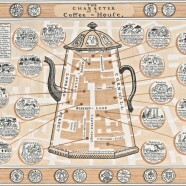 Each of the 19 coffee houses on the map has a small vignette about it. 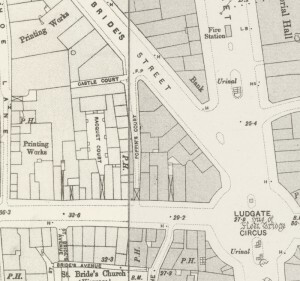 The map includes Lloyds coffee house, the place where ship owners and merchants met to spread the risk of each voyage amongst themselves, came the Lloyds of London insurance market itself. I like the colours used – various shades of coffee! 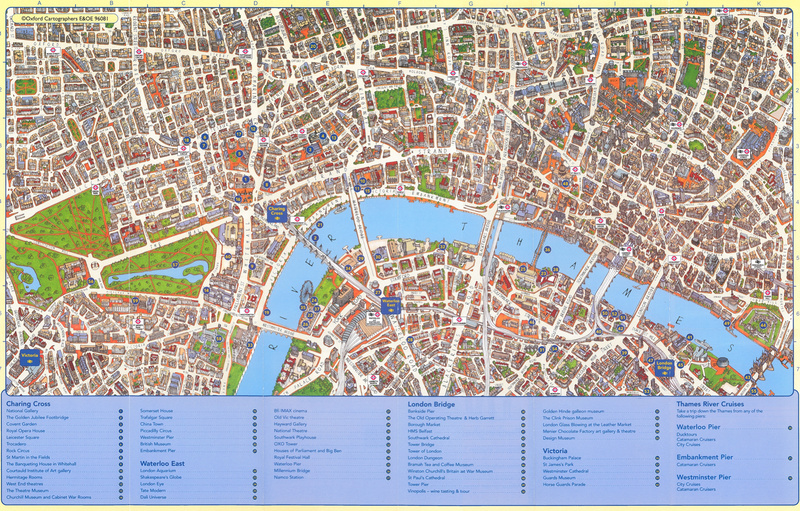 The map and information is drawn in a clear and uncluttered fashion, with the links out to each story placed as to not obscure the map. Each story itself is surrounded by an apparent coffee stain. 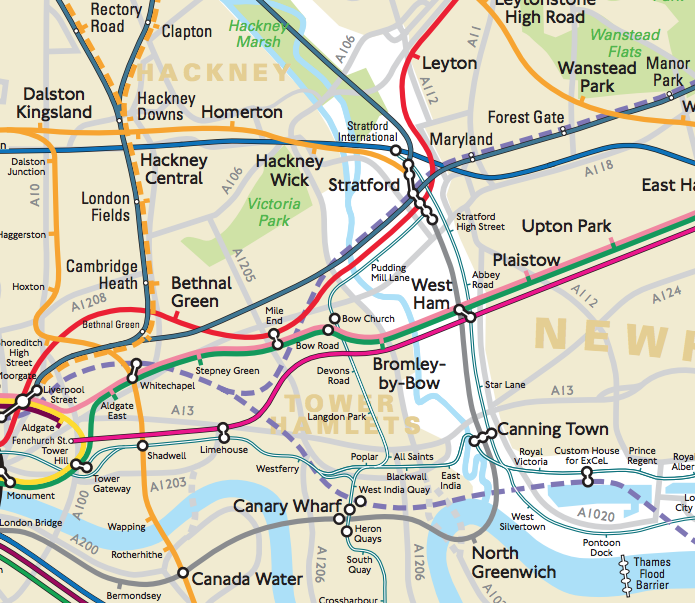 Note that west is towards the top of this map. 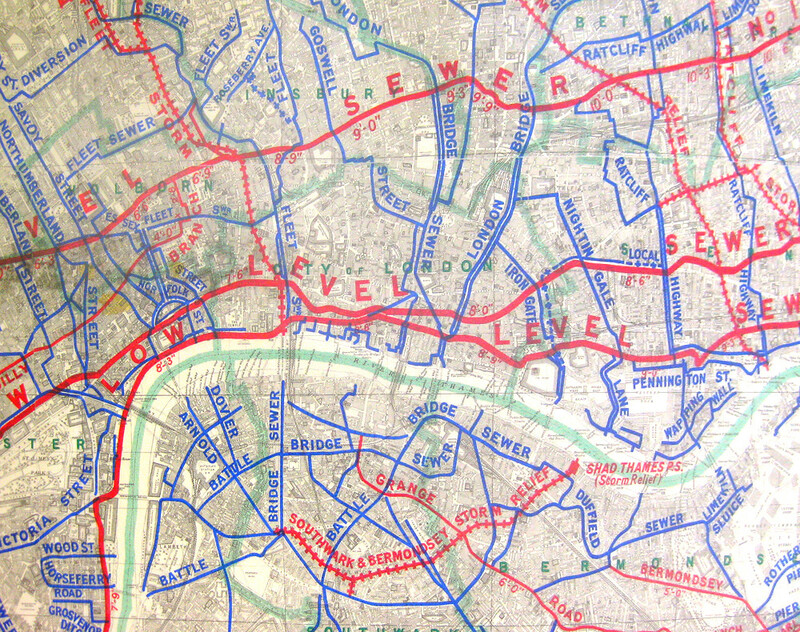 More about this map on Spitalfields Life. 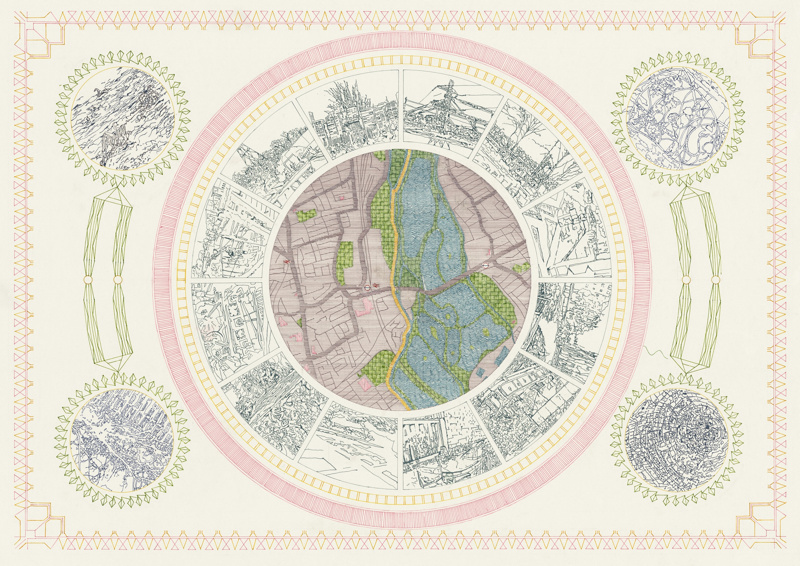 Copyright Adam Dant. Found via Spitalfields Life.